Calvados is an historic apple brandy produced in the Normandy region of northern France dating back to the time of Charlemagne. Recently the production laws have been updated to delineate the production zone and it now is concentrated around the Pays d’Auge. Up to 100 different varieties of apples and pears are used which are pressed and made into apple cider before usually being single distilled for AOC Calvados or double distilled in traditional alembic pot stills for AOC Pays d’Auge. A new AOC, Domfront with a minimum of 30% of pears was created in 1997. A minimum of two years aging in oak barrels is required. The quality grades range from Three Star or Fine (minimum two years age), Vieux or Reserve (minimum three years of age), VO or VSOP (minimum four years of age) and XO, Hors d’Age or Napoleon which must be at least six years of age but is often much older. 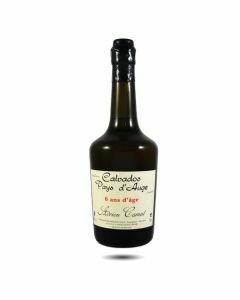 Calvados can be served as an aperitif or a digestif or traditionally was served in the middle of a long banquet to revive the appetite and was called the “trou Normand”. Young Calvados has very distinct apple and pear aromas but as it ages, it takes on the flavours of extensive barrel aging and resembles Cognac. Other flavours of Calvados are aged apples, dried apricots, dark syrup, butterscotch, walnut and chocolate.